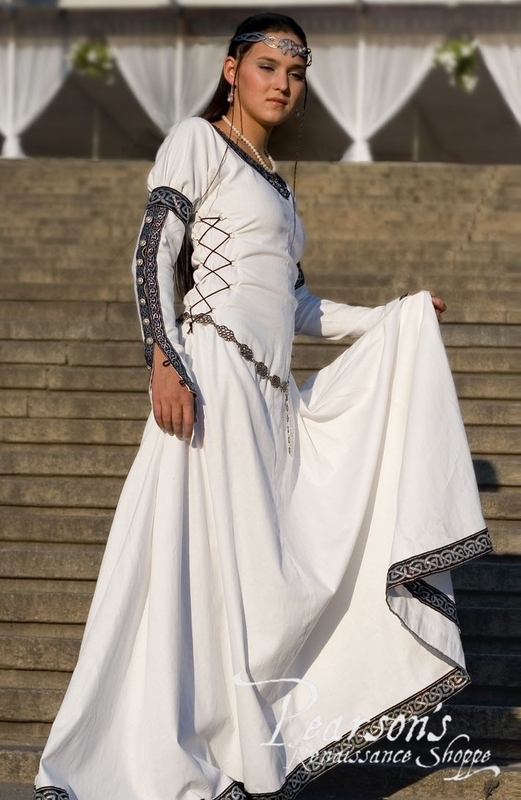 The Chess Queen is a 100% natural cotton medieval dress that looks amazing on almost any figure: contrast lacing at the sides allows making light size adjustments easily. Fine trimming on the neck, sleeves and bottom completes the perfect view. 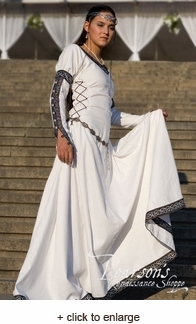 Current trim with authentic Celtic pattern is specially designed for this dress. This attire will suit both for the young lady from any medieval European country and for the heroine from the fantasy story. Approximately 58" in length.